So I did a search and didn't find a latest Switch purchase thread which I was amazed that one hasn't been made. 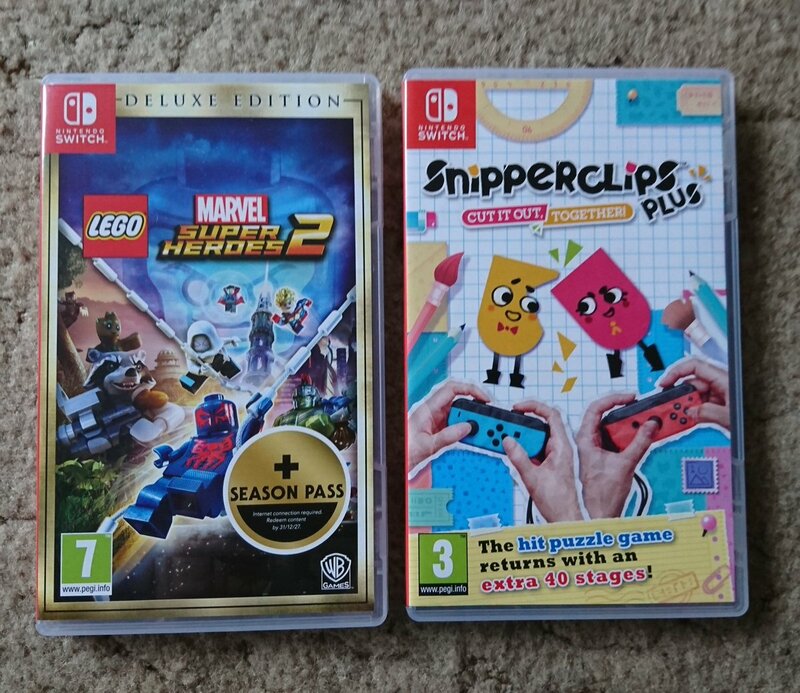 So anyway I made this one so we can share our latest purchases for the Switch. I just picked up Might Gunvolt Burst for the Switch. I enjoyed the first one on 3DS and thought it would be nice to play this one on the big screen. I heard it feels alot like the older Mega Man which is great for me. Also a few weeks ago I got the LoZ wired pro controller for the Switch as well. Might Gunvolt Burst and Guns, Gore and Cannoli! Both amazing games! Bought Tiny Metal for christmas. I bought a few the other day. I just bought a joy con comfort grip from amazon, and it feels sort of weird, but i'm sure i'll get used to it. Just bought Blossom Tales, Top Hunter and some tables for Pinball FX 3, Iron & Steel pack and Portal. 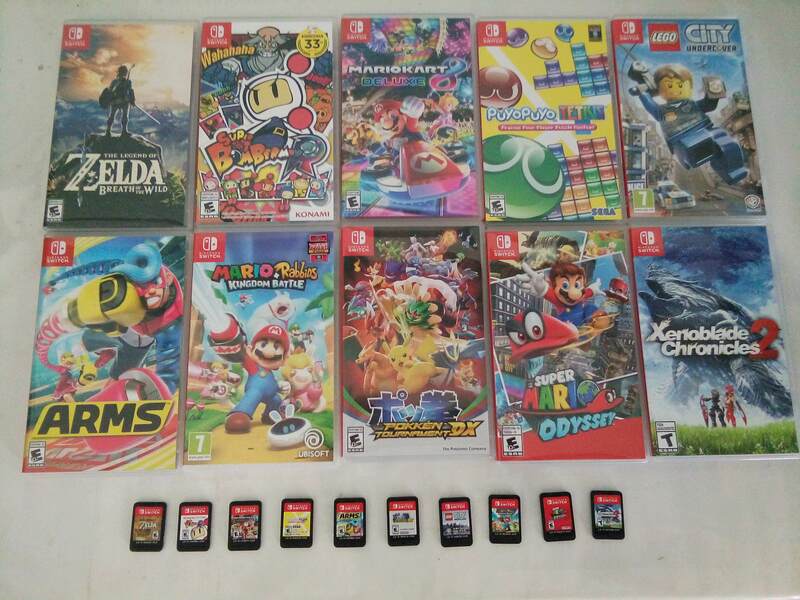 That's me up to 72 games for Switch,crazy. Already have 12 Switch games and did not have much money in general either so..
Pre-ordered Bayonetta the other day. Other then that don't see myself buying to many Switch games till I finish Bayonetta 1 and 2. I said I wouldn't do it. I said I didn't have the time. But I ordered Xenoblade 2. I'm only 5 hours in but I'm loving it. Pimped out my Switch recently with some accessories. All really good purchases, although the screen protector isn't adhering perfectly in two of the corners. The grip kit for the joycon basically turns sideway joycon controllers into something actually comfortable to hold, and the JETech case has these nice grips that make playing in handheld mode much more comfortable (although you can't dock the system when the case is on). Finally bought Skyrim last weekend. Man, cultists are the WORST. Picked up Binding of Isaac, SnipperClips, Enter the Gungeon, Stardew, Darkest Dungeon, and DragonFangZ...still working through Xenoblade 2 though...so yeah just added a ton to my backlog along with what I already have. Finally getting BOTW on Sunday when ill have 4 days off to play... SO excited.. haven't played a Zelda since OOT came out! Just bought Super One More Jump - classy game, controls and collision are as sharp as a shark's tooth. Also gonna fork out for ARMS this weekend now I've finished BOTW.